WHAT KILLED THE GENE GUARD ACT? 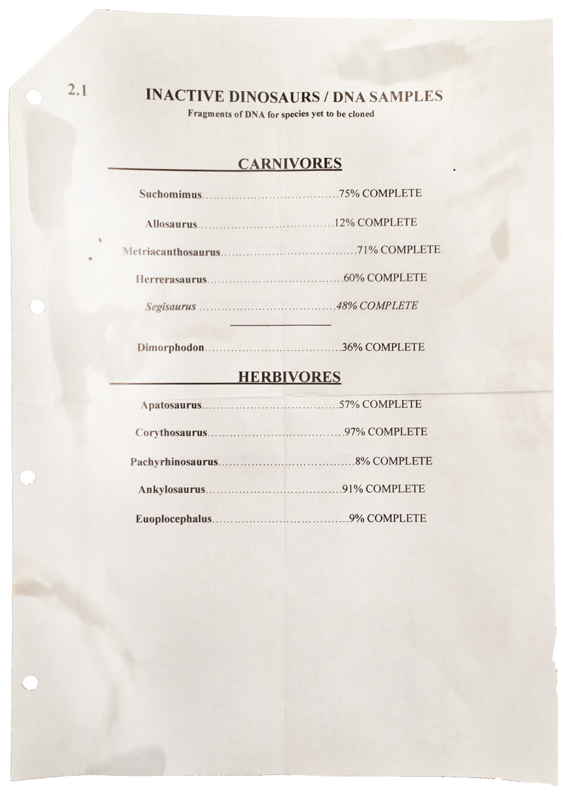 The existence of dinosaurs has always been a politically complicated subject; however, when the resort was destroyed in 2015, investigations into the incident unearthed corruption stemming from before the park even opened. The Ethical Negligence within Paleo-Genetic-Resurrection (ENPGR) Bill was passed under the new simpler title Gene Guard Act in 1997, as a response to the San Diego incident. It was formed by the US House Committee of Science (UHCS) working with key members of InGen’s senior management. 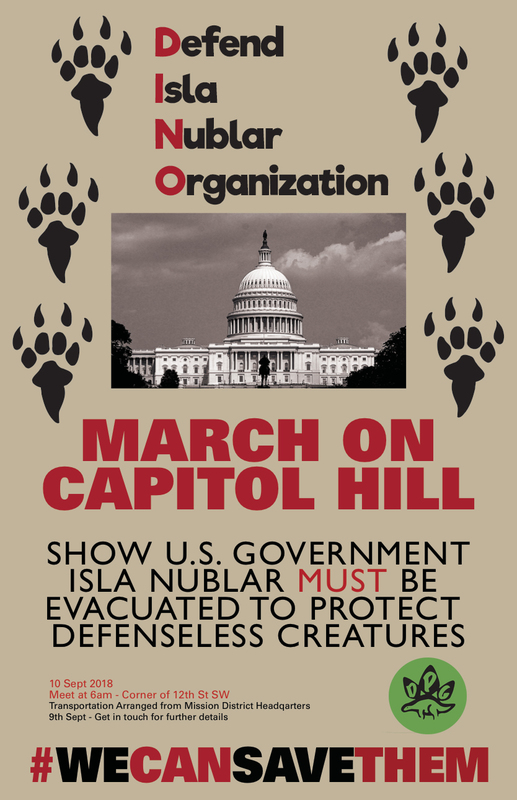 This Act would extend existing dinosaur specimens the same rights and protections as other endangered animals, as well as restrict any further access to the islands owned by InGen. It also prohibited any further cloning of new prehistoric fauna or flora by the company, which was committed (at the time) to upholding strict ethical regulations concerning the animals. “International Genetic Technologies is obligated to contain and protect the dinosaurs from further proliferation, through uncontrolled breeding or experimentation; or harm through organised destruction of their biological makeup, or living conditions.” ENPGR Bill, 1997. These regulations would remain in place well after Masrani Global acquired InGen. But in 2003, high standing members of the UHCS revised the strict laws surrounding the Act and publicly stated their confidence in Masrani Global’s promise to right the wrongs of the past. This new watered-down Act allowed the Fortune 500 company to pursue the growth of new animals to showcase at Jurassic World. However, just three months after the events of 2015, and separate from the inquiry into bio-ethical misconduct perpetrated by InGen and Jurassic World Geneticist Dr. Henry Wu, the United States Congress announced it would open an inquiry into the potential violation of the Gene Guard Act. This came after several employees of Masrani Global and InGen stepped forward to disclose incriminating evidence against their employers. 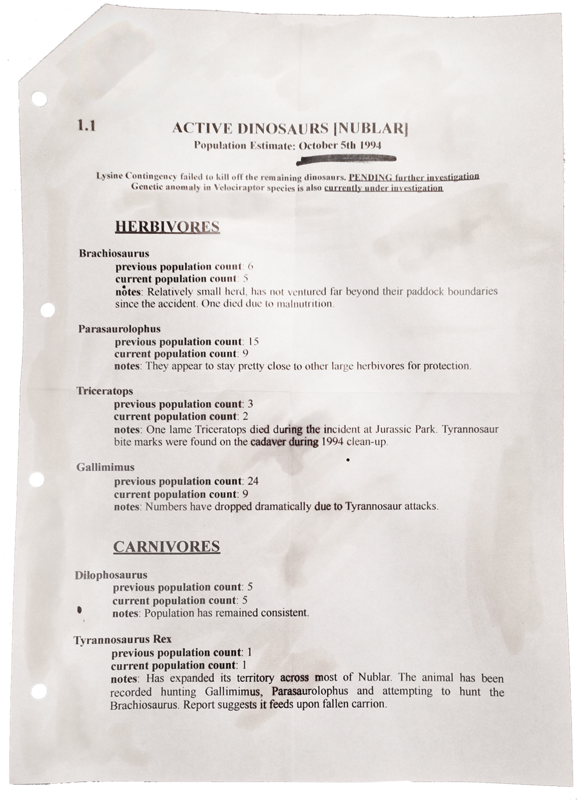 It was unearthed that many of the dinosaur species present on Isla Nublar were new species that had been cloned before the law was relaxed in 2003, and the change was passed by the UHCS via a corrupt and willfully misleading process. 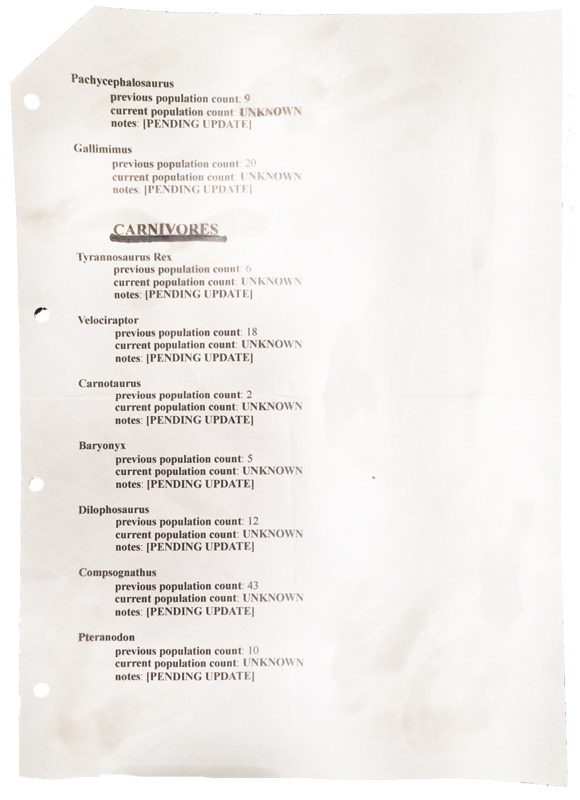 “The advancement of these technologies, building upon old assets and creating new ones, would be used to safeguard against genetic abnormalities or hereditary diseases that would potentially arise during the lifecycle of any of the animals, and could potentially extend to eradicating many such diseases that are prevalent in the animal kingdom and humans. 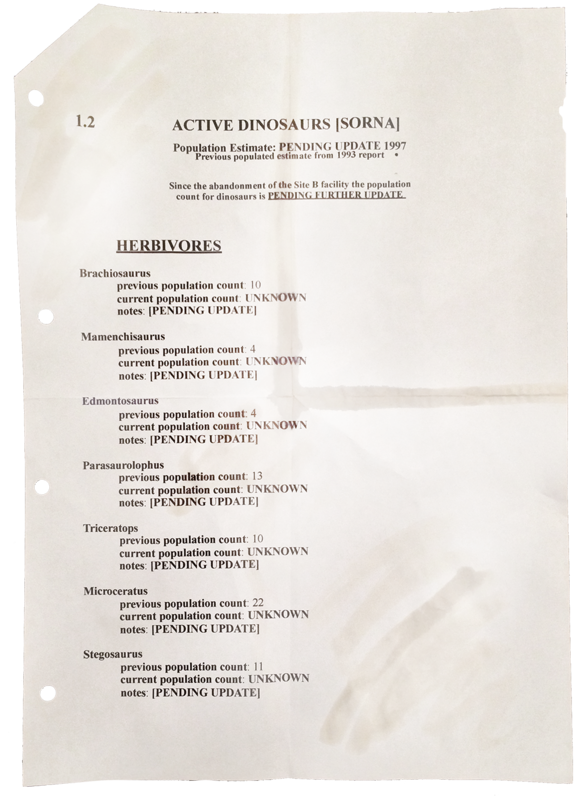 Applications of this research would also extend to the surrounding wildlife and ecosystem around Isla Nublar.” Masrani Global Rep [name unknown], March 2003. The 2015 investigations discovered in a paper trail around this meeting that key members of the board were, to quote, “bought and paid for” to help turn back the clock on the Gene Guard Act-- essentially harvesting the rewards of the new park, paid off by Masrani Global’s profits. These members have since been discharged of all their legal duties, with some even serving jail time. 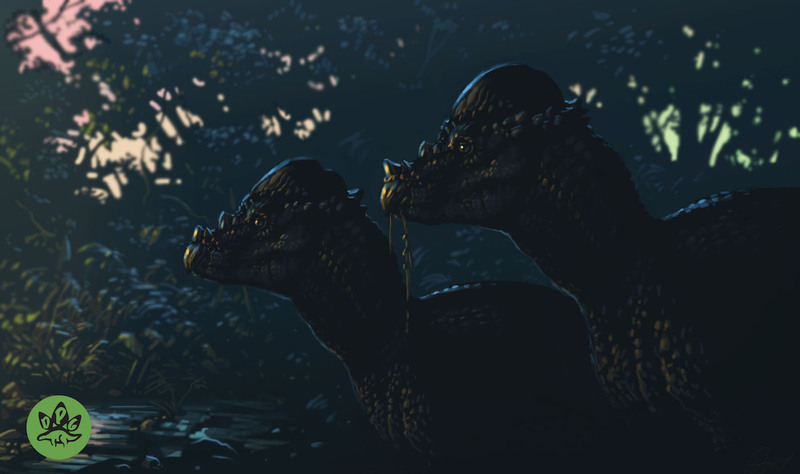 ■ The new species were grown in secret on Isla Sorna (Site B) and experimented on over a period of nine months, starting just 100 days after the company was bought by Masrani Global. 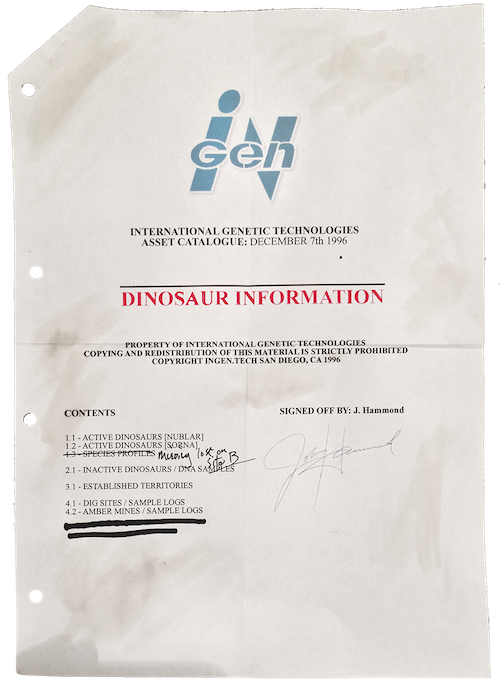 ■ Incubation was achieved covertly and quickly to evade attention; only a select few InGen members were involved, and their names have been removed from records. It is unclear whether Masrani Global’s CEO, the late Simon Masrani, was aware of the violation of law. ■ The new species included: Ankylosaurus, Ceratosaurus, Corythosaurus, and Spinosaurus. All were abandoned on Site B, until the surviving animals were reportedly moved to Nublar to be housed as future attractions at Jurassic World. 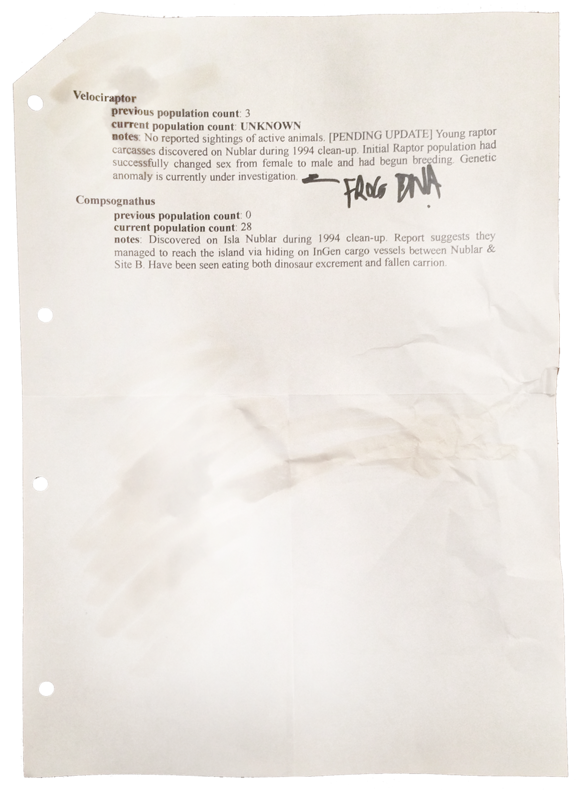 The growth of illegal species and bribery amongst those who were assigned to uphold the law painted the Act in negative colors, and its validity is frowned upon by the general public. As of today the Gene Guard Act is essentially extinct, a consequence of the ever-changing political climate. It is safe to say the policies and laws regarding the protection of these animals have never been fully enforced, monitored, or locked in place. After almost four decades of misconduct, the legal protection of living dinosaurs requires stronger sanctions and strict care to ensure a safe future for both humans and dinosaurs. The Gene Guard Act may be gone, buried in bad press, but its principles still ring true. Not only do these animals deserve their rights, but their rights must be protected from those who would repeat past mistakes. The DPG promises to focus on making this a reality. Join us in saving them.